Why choose the financial advisers at Heritage? At Heritage Wealth Solutions, our financial planner’s main focus is on building strong client relationships across the Yorkshire region. We understand that choosing the right financial adviser can be difficult, and knowing that they will be there throughout your financial career is vital before committing to such a relationship. 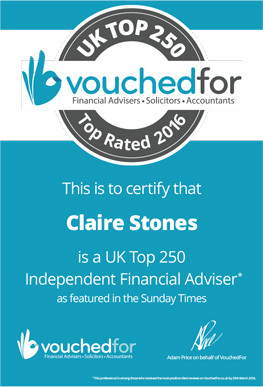 Luckily, our financial advisers have impressive experience when dealing with a range of individuals, families and businesses in the Leeds, Wakefield and surrounding Yorkshire area. Do you want to see an example? Mr and Mrs Richardson are in their early 60s and have both worked for the local authority all of their working lives and have requested a review as a number of redundancies are due to be made, and the Richardsons wish to investigate their options. Having reviewed the options and discussed with their adviser the net income position the Richardsons would be in if they accepted a redundancy, and after explaining their AVC funds and redundancy can be effectively used to top up income between finishing with the council and state pension age, the Richardsons decide on a lifestyle change and put Mr Richardson forward for redundancy. Having assessed their income position could be met from AVCs and a redundancy payment, their Tax Free Cash lump sums, once invested, can be used throughout retirement for holidays and luxury purchases and maintain their quality of life long term. Simon is in his early 50s and has his own limited company to receive his income as a programming contractor. Having been reluctant to invest in pensions over the years he has built up a significant amount of cash in this company, although realises now the rules have changed on pensions and wants to consider the possibility of retiring at 60. Having reviewed the options his adviser recommends significant pension contributions to take advantage of generous tax reliefs over the following years, and he is then in a position to draw down on pension and company benefits to sustain himself as part of a structured plan. Simon requires a sustainable income from his portfolio and as such his portfolio is comprised of a blend of income producing assets, with the aim of providing dividend income to increase throughout his retirement to meet increasing living costs. Mr and Mrs Arkwright are both in their mid 60s and have retired, and have accrued a couple of hundred thousand pounds in savings throughout their lives, although they only have state pension and as such their retirement income is relatively low. They have made some small investments with the bank over the years although are increasingly annoyed at the lack of servicing, they now realise they are still paying a commission on several of these plans yet receiving nothing in return for it. Their main concern is that returns on their savings are less than inflation and any money they take out will erode these funds further. Having reviewed the options the adviser recommends repositioning their old bank investments (which were underperforming the rest of the market and in the wrong risk profile) and investing further capital into assets with high levels of income from dividends, bonds and various property investments. This provides the Arkwrights with an income to supplement their modest state pensions and also provides capital growth over time. Mrs Arkwright in particular is pleased with the regular contact she receives from her adviser moving forward, knowing she is receiving fair value for the fee she is paying.